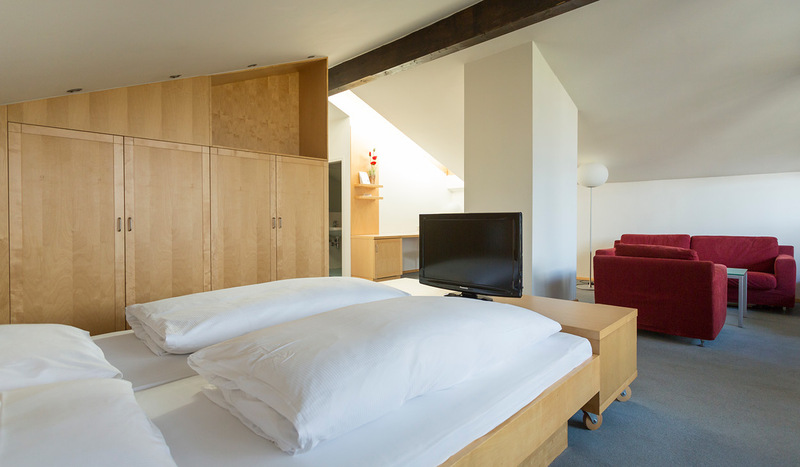 Our two bright, modern Studios on the top floor give you plenty of space to feel at home. 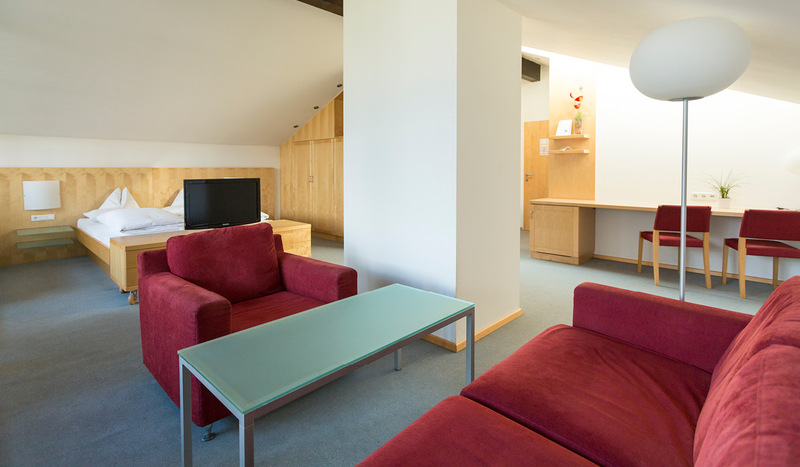 A comfortable sitting area and generous sleeping space invite you to relax, or you can work at the desk in perfect peace and quiet. 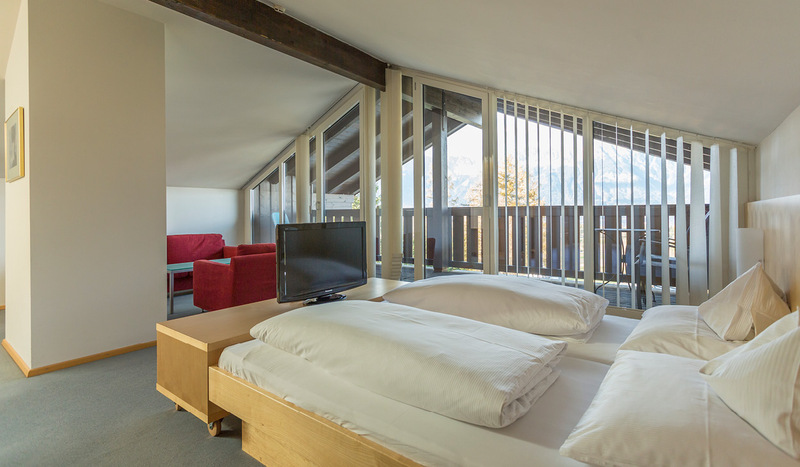 You can also enjoy a wonderful view from the balcony, overlooking the Nordkette mountains towards Patscherkofel. The toilet and bath/shower are separate in both Studios. The southern Studio has a bathtub with a shower function.